Maybe it is me who never understood the charms of chubby sticks. I find the whole thing a bit boring. Having said that, L'Oreal Glossy Balm feels amazingly pampering on lips. Probably the best I've experienced from the similar kinds. 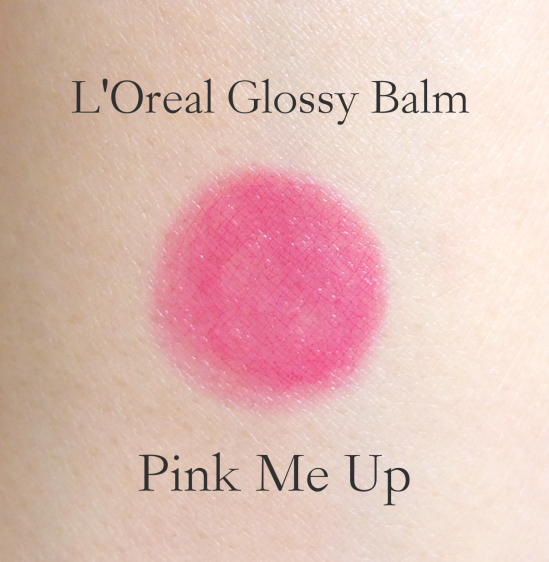 The color payoff is great but it fades away rather quickly probably due to the moisturizing properties in it. It still leaves some stains behind so that I don't feel rushed to reapply every two hours. I received this mini sized Lip Lover with my Lancôme order a while ago. Kudos to Lancôme for including this legit cutie in their sample selections. No points required. 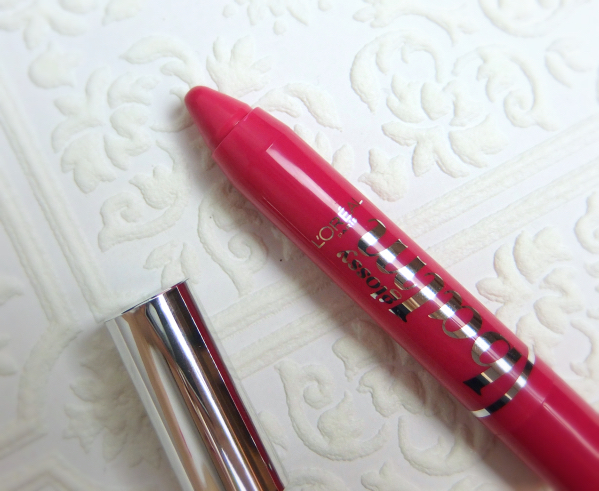 I have the Lip Lover shade which I've enjoyed a lot (reviewed here). I placed them next to each other for a size comparison. The mini is definitely more adorable but it lacks the click-y applicator. All is good, though. 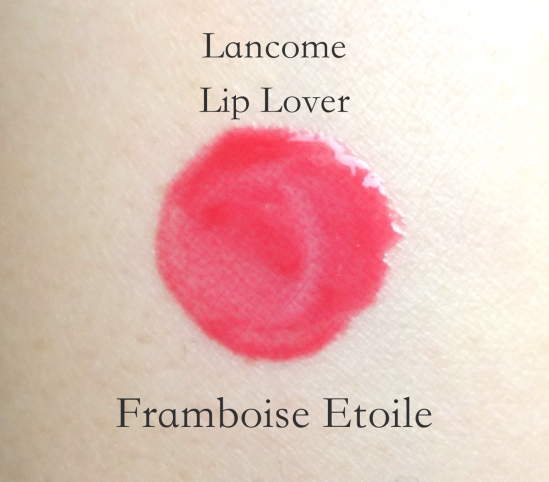 Framboise Etoile is the star shade of the range, I believe. It is redder (more like raspberry as the name suggests) and hotter than Pink Me Up which has more blue in it. 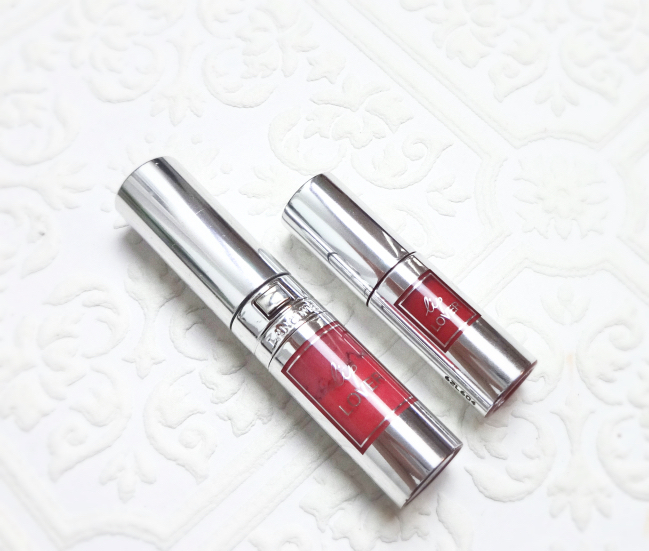 Have you ever found a lippie a bit uninspiring although you can't really fault its shade or formula? GEEZ you are so pretty! Love these shades on you! And I love that you have a signature look. I adore that about you. I wonder what my signature look is now? I want one. Both shades look really nice on you, Lena! The mini Lip lover is so cute >.<. 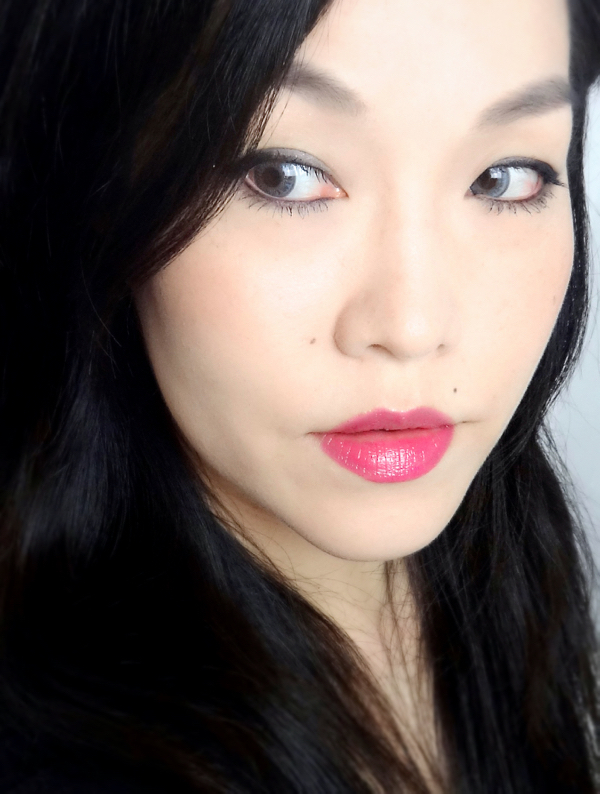 I love Lancome Lip lover , I find their formula very comfortable on my lips. 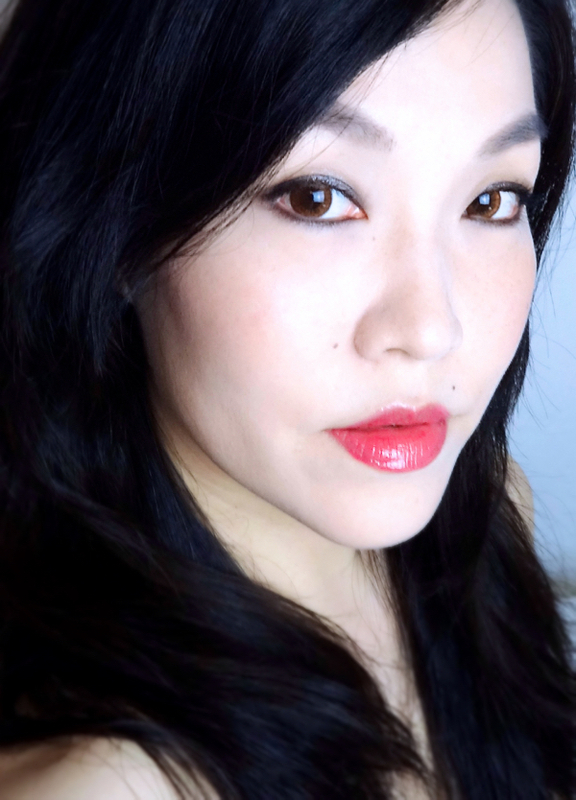 I get what you meant with uninspiring lip products, for me definitely the YSL Rouge Volupte ( I have 2 shades but don't reach for them often though I can't point out why ), and Dior Rouge lipstick ( the one with dark blue bullet ). They're no doubt excellent in quality but I just don't love them enough..
you definitely rock these lip shades. Don't you just wish there are some moisturizing lippies out there which can be hydrating and yet stay on the lips more than 2 hours? Hey Lena, oh berry is your shade! I know that as it cools down, I'll probably be wearing berry all the time again. Regarding that "uninspiring" lippie question, oh yes I feel that all the time! There are a lot of solid formulas out there that I just can't bring to love as some others and I can't quite figure out why! You wear cool fuchsia shades so well! But I know what you mean- there are plenty of lip colours with pretty shades and solid formulas, yet they are missing something that prevents me from reaching for it often. I haven't been impressed with most chubby sticks cause most of them are drying. It sounds like the Glossy Balm isn't lacking for moisture though. Both shades look really pretty on you Lena! Most lippies don't inspire me which is probably why I always reach for the same few. I guess skincare excites me more than makeup lately. Because I find the chubby stick concept rather boring, I admit I haven't tried that many nor have I spend a lot on them. But I agree with you many of them are drying. 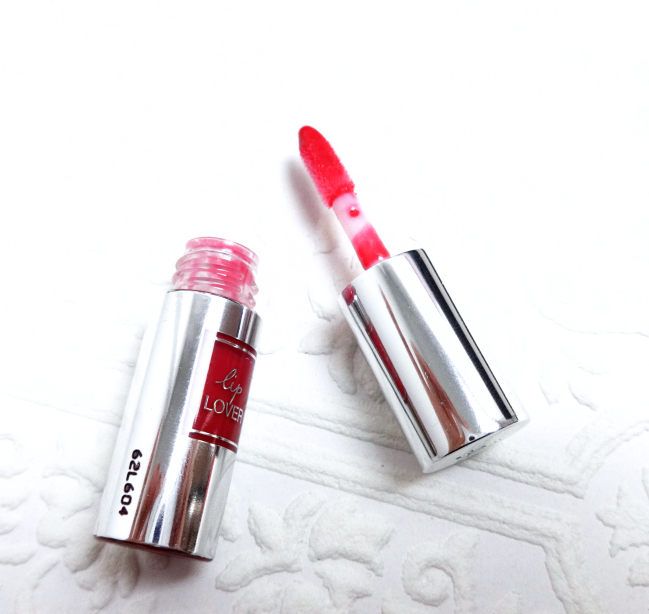 This L'Oreal Glossy Balm luckily isn't one of them, and I'm impressed with the formula. They lack interesting colors, though. Quite basic. I have this lip colour but it comes off too bold for my taste! It looks amazing on you though - a great transition colour to go form Summer to fall! I actually prefer the L'oreal crayon! I just can't resist a blue tone pink, I can't think of any instant where it wouldn't be an ideal color! I personally don't wear lip colors much because of how my lips tend to peel but I used to go ga ga over reds, cool tone reds and would buy one now and again but just never find myself wearing them so I've stopped since! Lol, I've talked smack about chubby sticks only to finish the Clinique one in a flash and am now almost done with a Clarins version. They are boring but comfortable and reliable! Totally hear you on loving colours more than formula though. It's not the end of the world if something isn't 100% hydrating. Thank you! These are very brightening and easy to wear at the same time for sure! 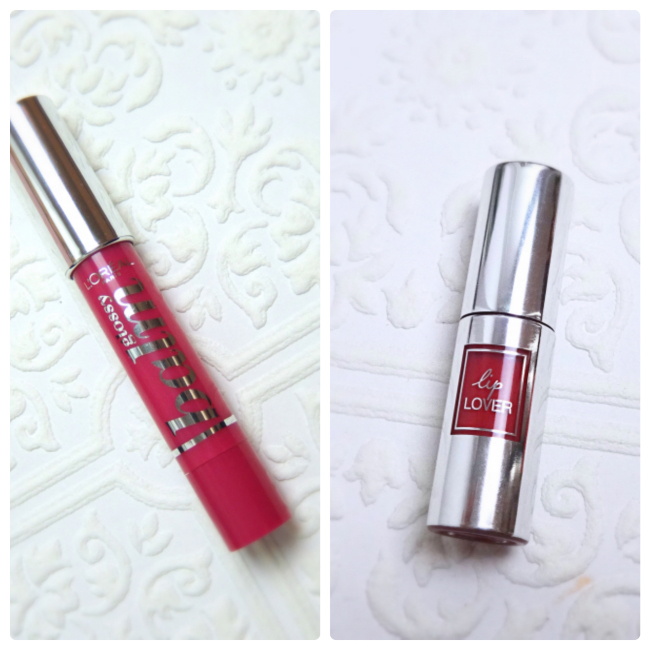 Both are lovely shades on you :) I didn't know L'oreal had chubby sticks so will have a look for them.